This soft play is suitable for younger kids so they can play with triangles and squares, rectangles and circles and made from a light weight foam material which is very safe for younr kids. 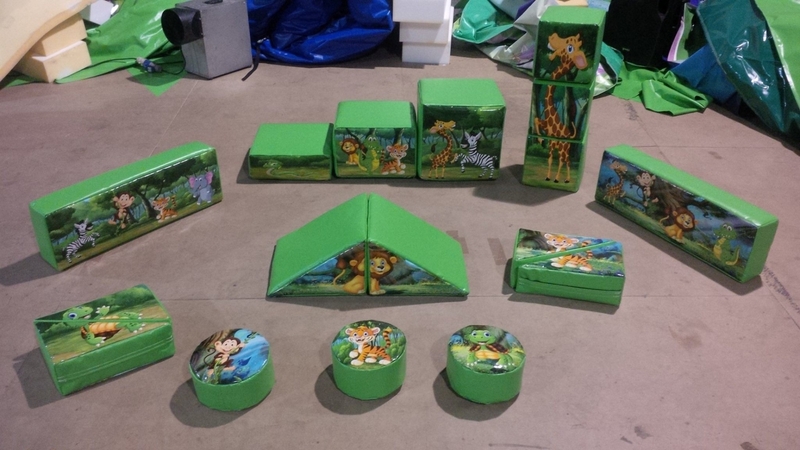 Here is the new 17 piece soft play jungle fun set. Comes with 6 mats which the pieces go onto.